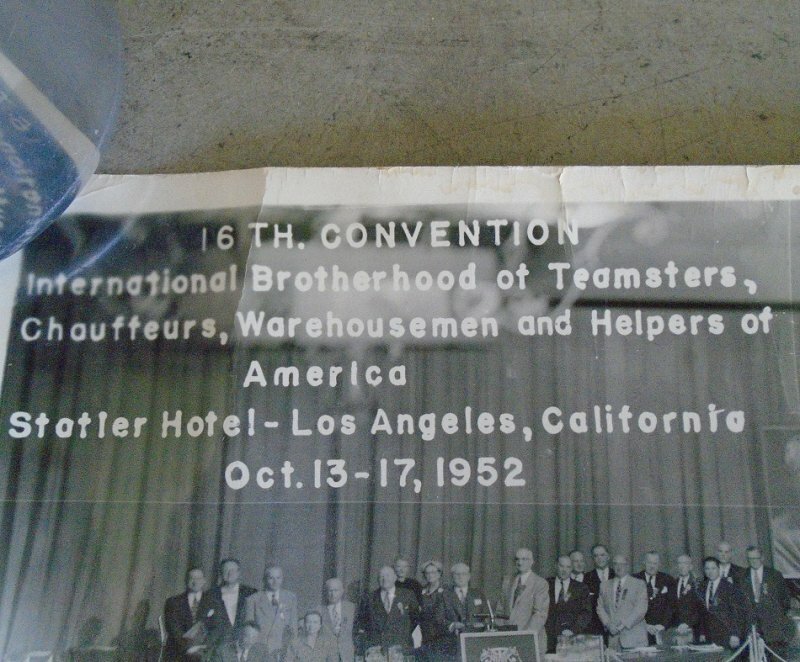 This is a panoramic photo of the 16th Convention of the International Brotherhood of Teamsters, Chauffeurs, Warehousemen and helpers of America. 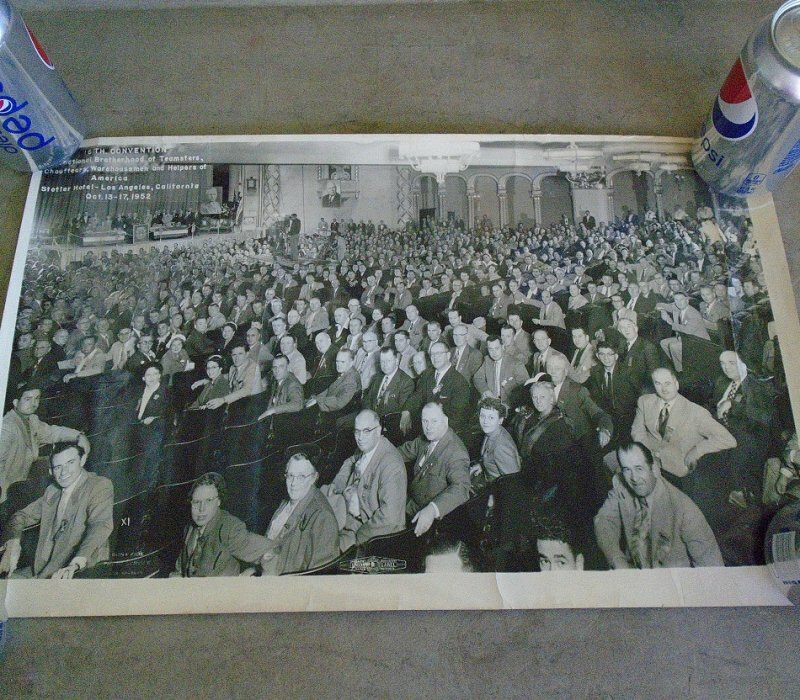 The convention was held at the Statler Hotel in Los Angeles California on October 13-17, 1952. The poster measures about 20 by 12 inches. It is a black and white photo. It is in excellent condition with just a few extremely small tears at the bottom, but these tears are so short that I can't even give you a measurement on them. I obtained it at an estate sale. It was rolled tightly and in a mailing tube. From its condition, I'd say it's probably been in that tube since just after it was made. The tube has the original address label on it. It was mailed from Bona Fide Photo Service, 1749 North Highland Ave. Hollywood 28, California. It was mailed to Mr. Erle E. Carter, 2720 Marion Terrace, Martinez, Calif. Since the convention took place over 63 years ago, I think it's safe to say that no one pictured is still living. But, someone's father or grandfather could have been in attendance. Delivery will be via USPS First Class Mail from California. Buyer to pay delivery charges of $5.20. I gladly combine shipping on multiple items purchased, as long as all items will fit into a single box. It is best if possible to contact me first to let me know which items you'll be purchasing so that I can adjust the shipping charges, otherwise at checkout you will be charged the full shipping fee for each item. Should that happen, and if appropriate to do so, I refund a portion of those charges.